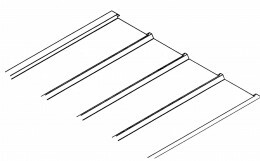 EDCO’s line of soffit and fascia is designed to complete the look of any new construction or remodel project. EDCO soffit and fascia provides a high-quality finish and completes the look for any roofing and siding projects. 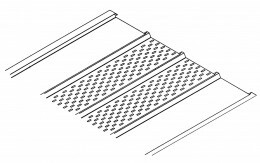 EDCO soffit is available in solid, center-vent and full-vent panels. By ensuring proper ventilation, their unique center-vent and full-vent panels help control energy costs during the hot summer months, and prevent/reduce ice-dam buildups during the winter months. 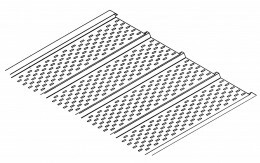 EDCO aluminum soffit panels are maintenance-free and backed by the industry’s best warranty.